Between. It’s been my secret dream to capture the perfect halfway in – halfway out of water picture since way before I ever got an underwater camera. It’s not easy to achieve. In this shot I purposefully positioned the lens in between. The effect I seek is not there, and it’s nowhere near what I’m trying to accomplish. Sigh. I’m a fan of piers. I love them. They are the connection between land and water. Bridges going nowhere. At least nowhere visible to the human eye. I’ve pretty much ruined my dive camera from clipping it to my belt and taking it along on long paddle board rides. Because the body of the camera is waterproof I rarely felt the need to protect it in it’s deeper water case. I also often forgot to rinse the salt-water from it. Oops. The end result was a battery cover closing imperfectly. The end-end result was a series of dramatic pictures with fog encased from within. On one side is life, on the other is the afterlife of unknown and uncertainties. This is the bridge that takes you there. Once you step on it, even if it’s just one foot, you must proceed. There’s no coming back. Love both shots, the first gives me memories of that great day snorkeling at the Mariettas, the other gives me goosebumps thinking about the afterlife. Perfectly eerie shot. I wondered if not rinsing off the salt water would really damage the Go Pro, now I know. But why did it damage the Go Pro to clip it to your belt? I thought about using one of the “between air/sea” shots too, but all of mine have these weird effects from water on the lens cover, interesting, but blurry. And I’m finally back posting on curiositycafe, and rainbowspinnaker soon, I hope. 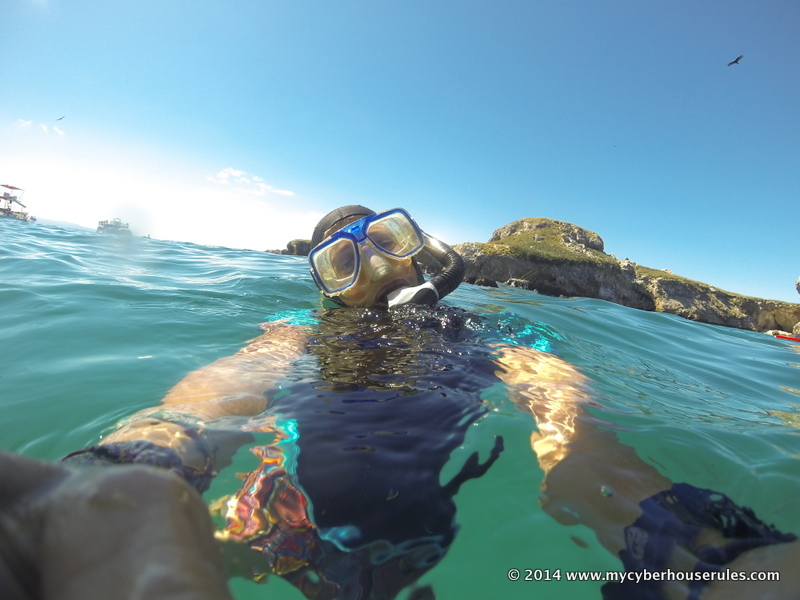 Actually the GoPro is not waterproof – it needs the casing. The ruined camera was with my older divecam. Water seeped in via the battery housing. Which ultimately forced me to buy the GoPro. yay. Hah! I didn’t recognize myself! I’d love to capture a between water and air shot too. I need a dedicated camera for that though. Love the pier shot. It looks very surreal. Very creative post! Loved your reader shot! I love when an accident results in a great image. Nice! I love the way you talked about piers, the in between (the gray areas of life) are one of my favorite places. 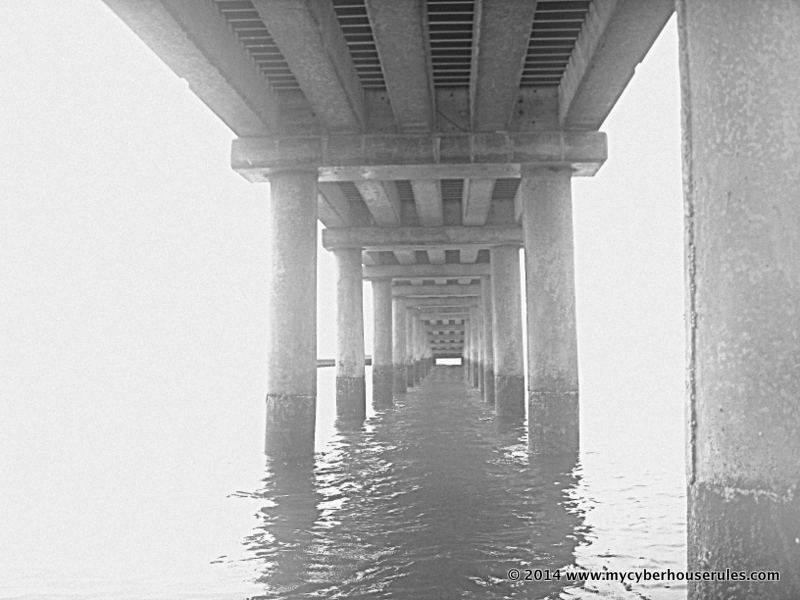 The picture of the pier was really lovely and extremely telling. Great entry. I feel your pain…love in-water photography; do not love the fiddly camera care and maintenance that goes with it! I’m also after a decent split-shot…mine usually have water droplets blurring the picture in unhelpful places, as the water trickles off the camera!